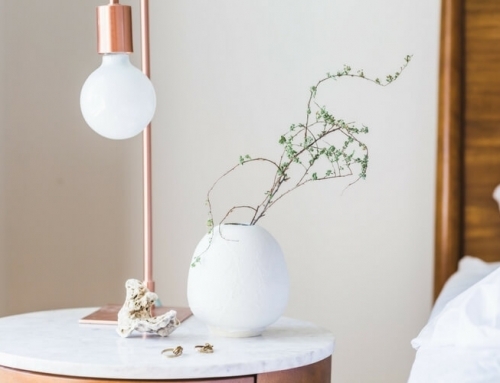 Looking for interior design inspo for your new home or an upcoming room makeover? 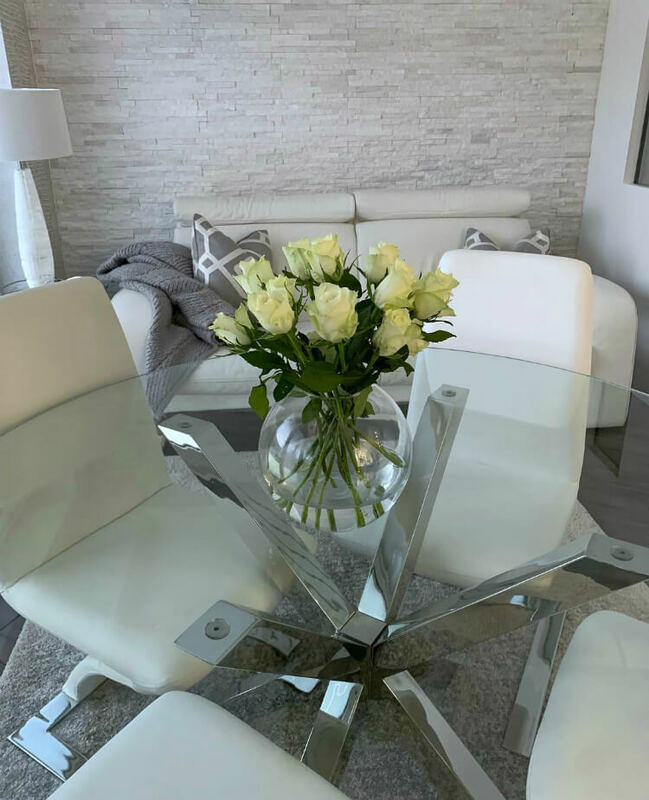 Thanks to Instagram, our customers regularly share some truly stunning and cherished spaces they have lovingly created with the help of items purchased in our stores. 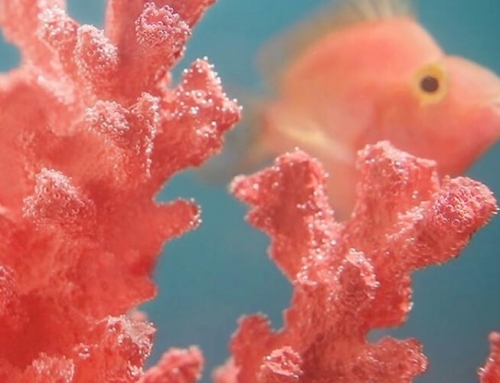 Here are a few examples that we hope will spark your own imagination and inspire you too! 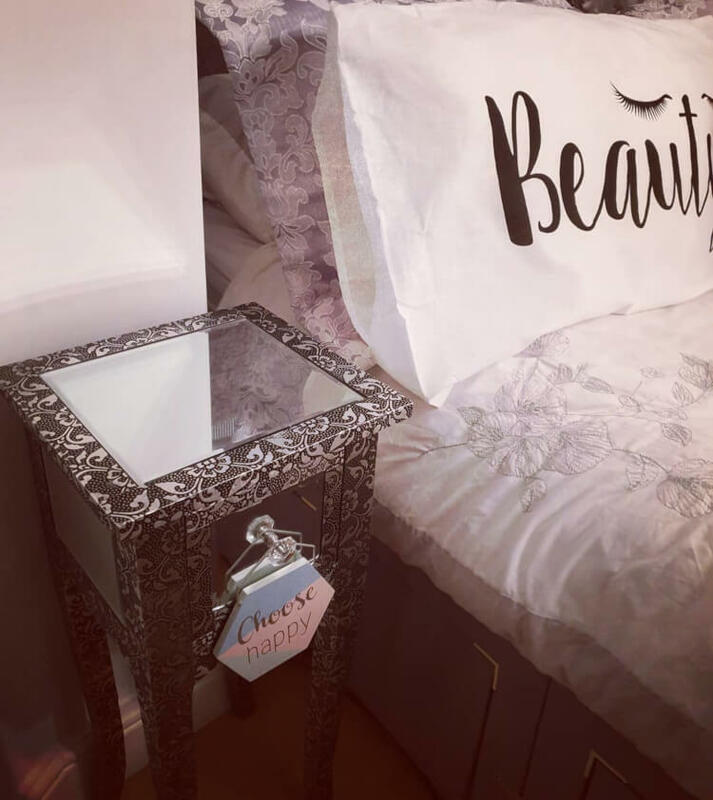 Interior design student design_edi has cleverly deployed a side table from Furniture Outlet Stores as a bedside lamp stand in this guest bedroom redesign. 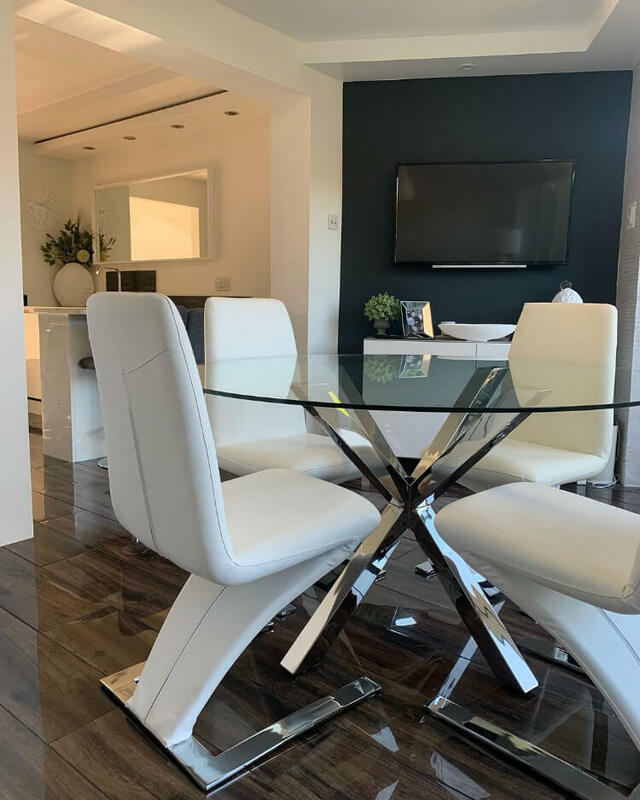 This modern dining table and chairs set from Furniture Outlet Stores is ideally suited to the contemporary interior and styling ethos of happyhomelifeinteriors_. 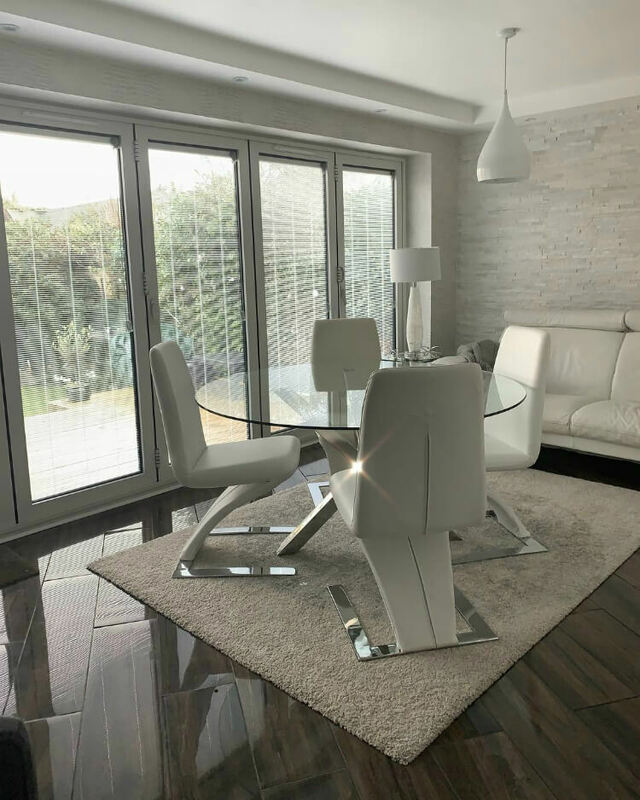 As these Instagram photos show, the result is an absolutely stunning dining room and lounge area to dine and relax in. 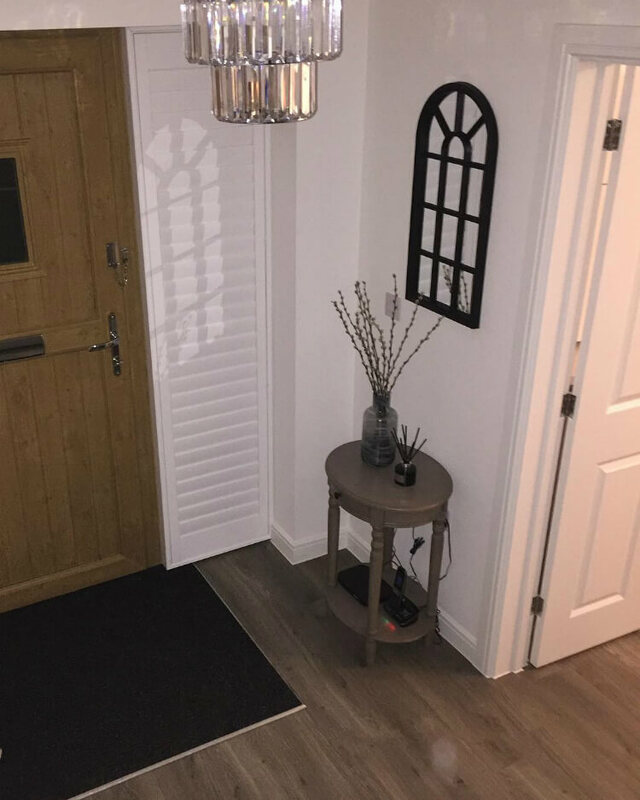 One of our oval-shaped hallway tables shows the versatility of this tabletop and lower shelf design in firsthomeliving_’s new home build entrance hallway. That’s not forgetting the extra storage space provided by the table’s built-in central drawer. 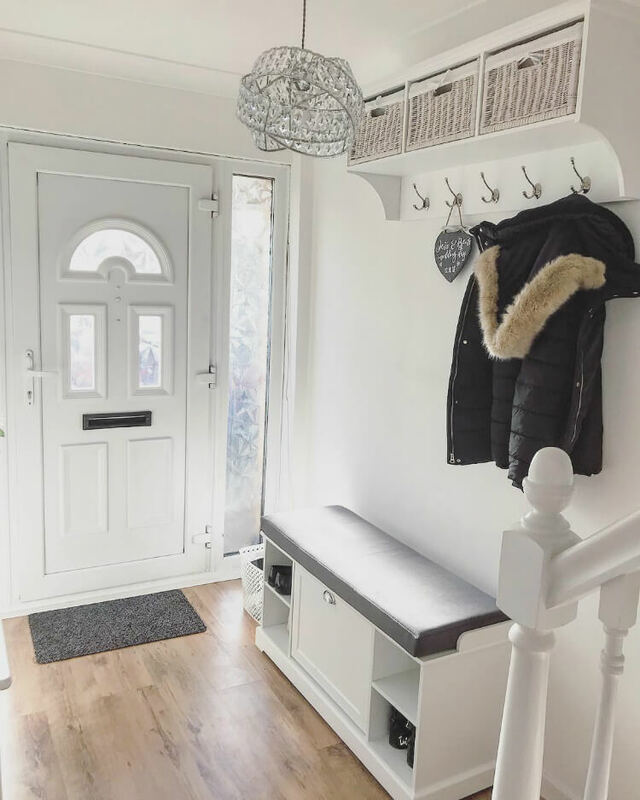 myfirsthome23’s journey into making their house a forever home has recently seen the addition of our coat rack with storage baskets unit to the entrance hallway. 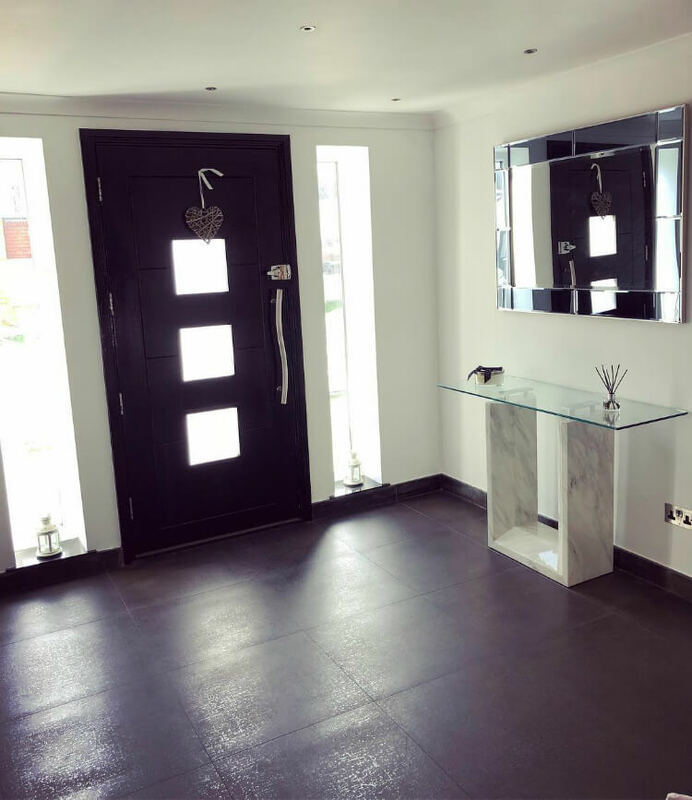 scentsandsass_xx is looking for a nice lamp to add to our glass top console table in this modern designed entrance hallway. 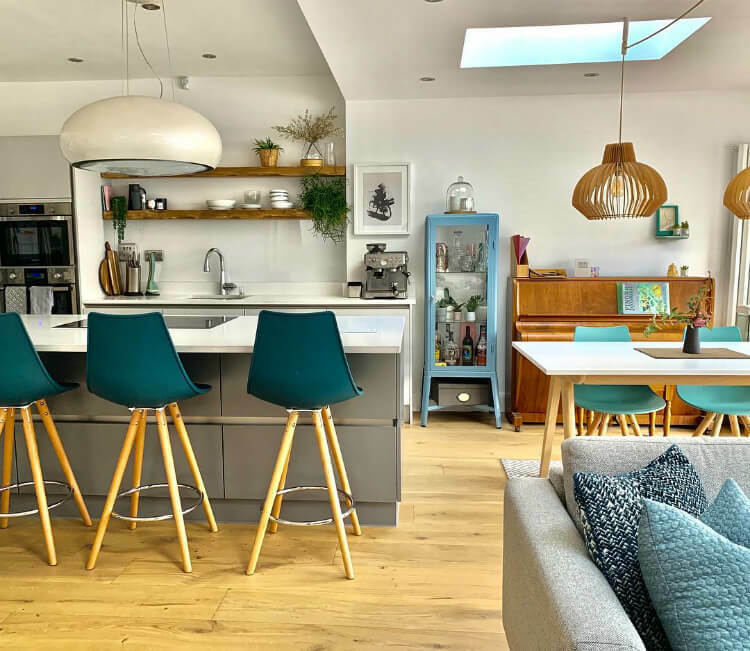 Our breakfast bar stools look fabulous and enhance the casual dining experience in myrefurb’s exciting open plan kitchen. 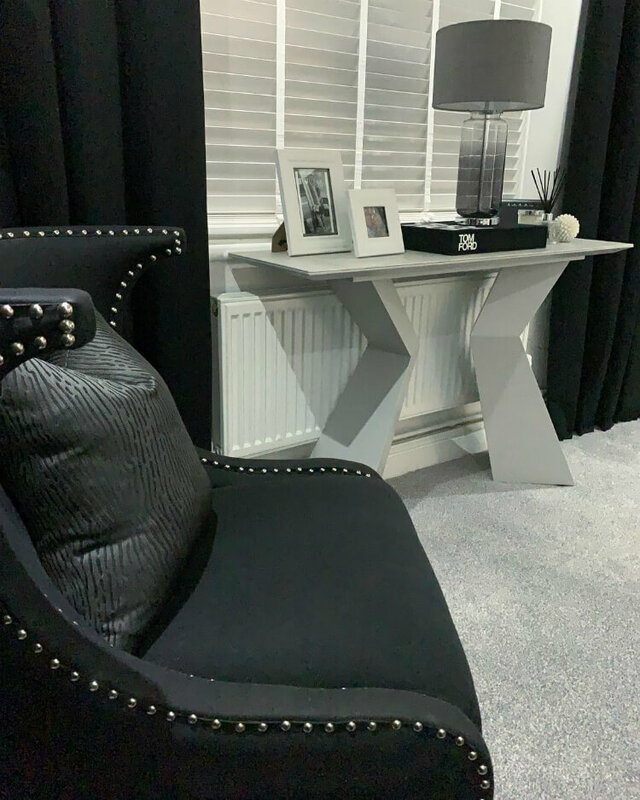 With a love for contemporary styling, happyhomelifeinteriors_ has chosen one of our modern look console tables for this light and dark themed lounge. 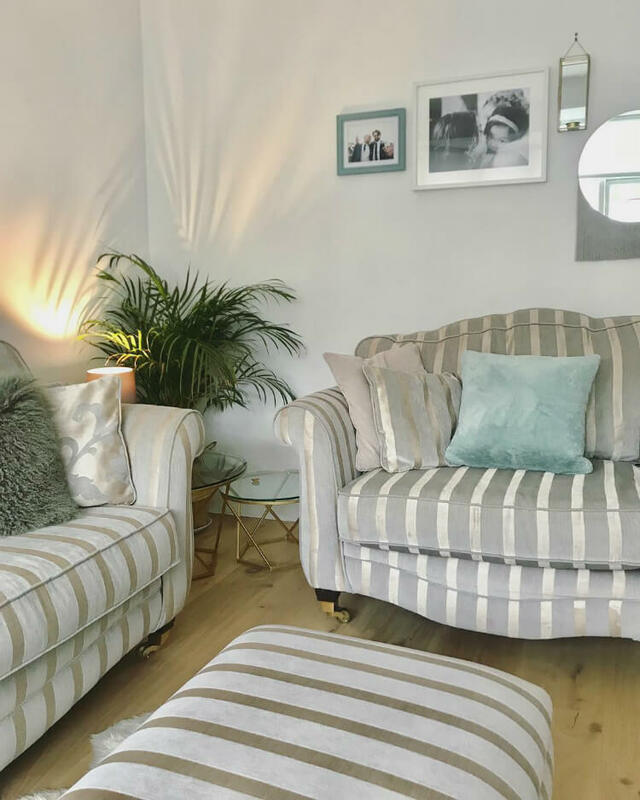 With the visually striking Olivia sofa by Furniture Outlet Stores described as a “gorgeous settee chair”, “stunning” and “SO comfy”, how would you choose to relax in this lovely room by housebyelabaire? 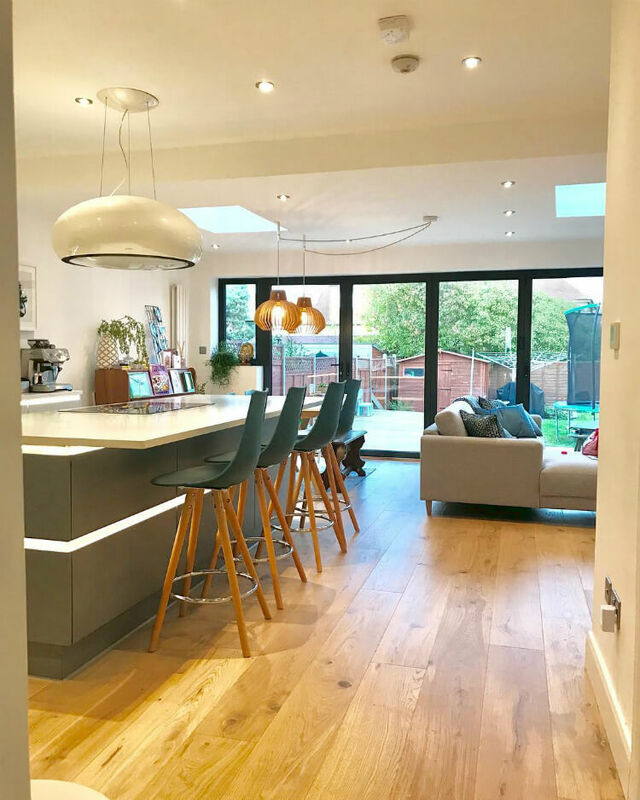 “The best coffee of the day is the one right after you drop the kids to school and you come home, make your coffee & sit,” declares the creator of this beautiful space. 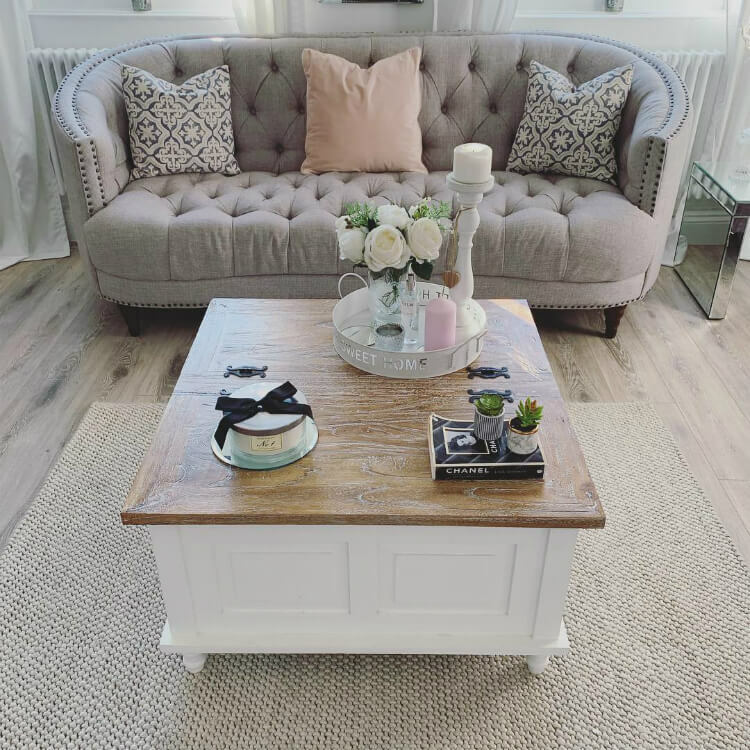 This gorgeous living room by lovinginteriors features a modern style glass top coffee table from Furniture Outlet Stores. 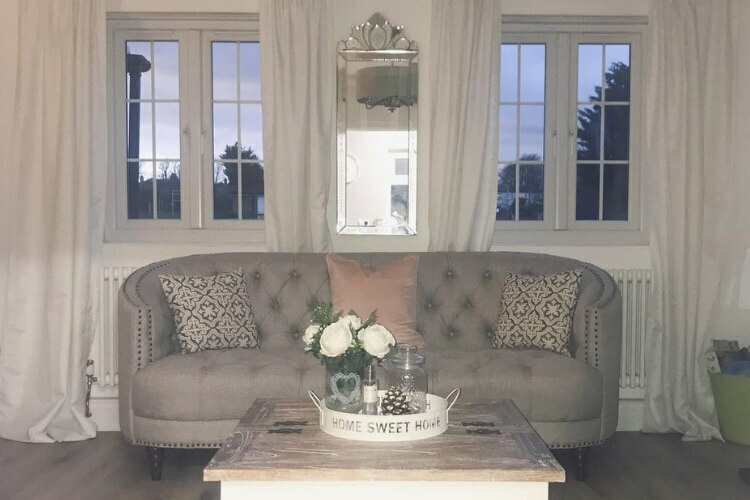 A 2-piece glass and metal side table nest from us is a functional and attractive home detail assisting myrefurb’s cosy front room vibes. 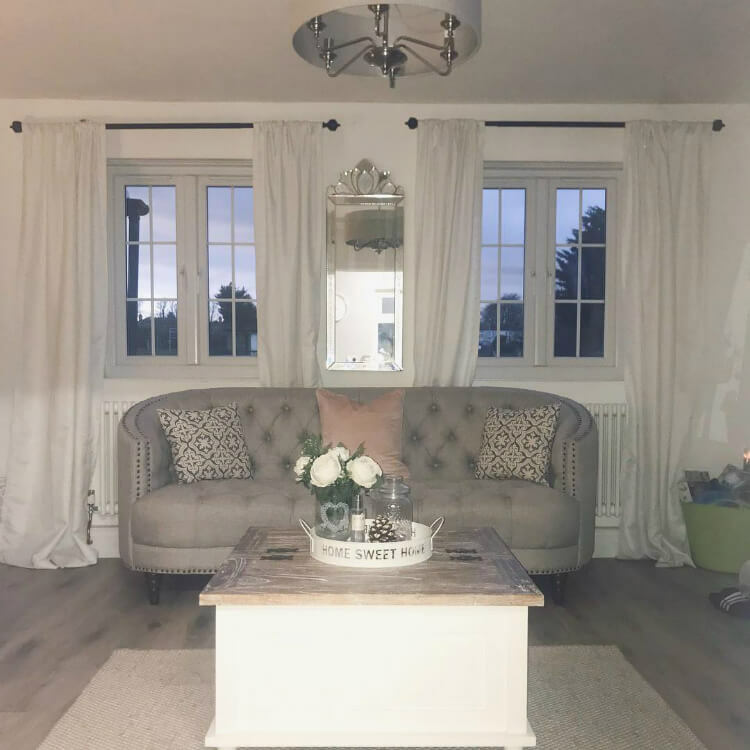 Our Olivia 3 seater sofa is the centrepiece of this beautiful living room by victoria_el_abaire, an inventive blend of modern and traditional interior design styling. 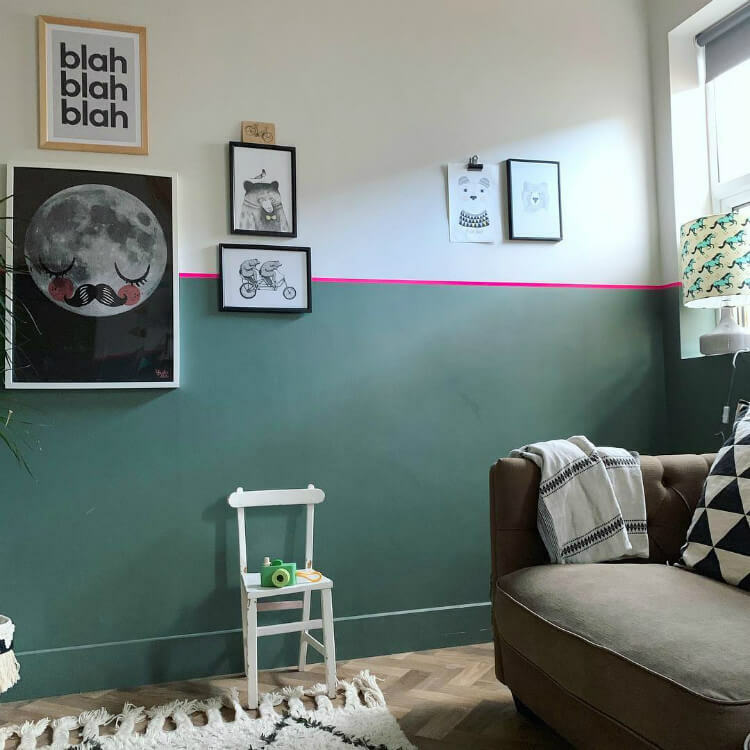 “I rarely post a picture of the Playroom because to be honest you can’t usually see the floor in here,” says _onehundredandtwelve. 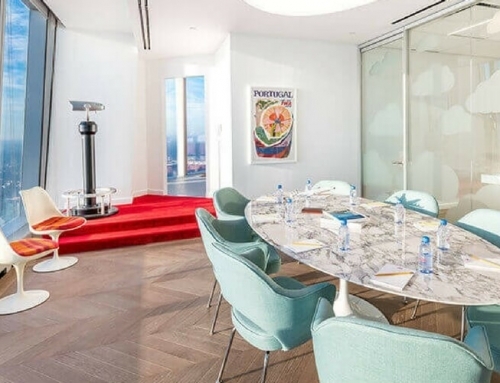 As the floor rug was sold by us, we’re very glad so see there’s been a tidy up for the photo! 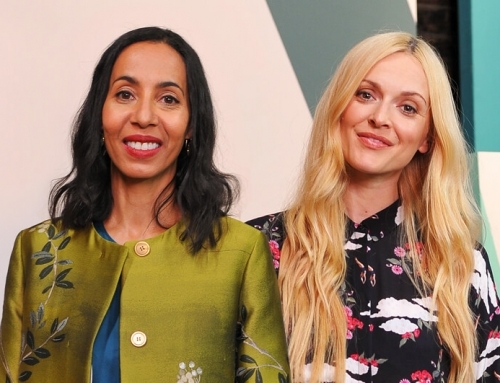 Want to share your own interior design inspiration with us? 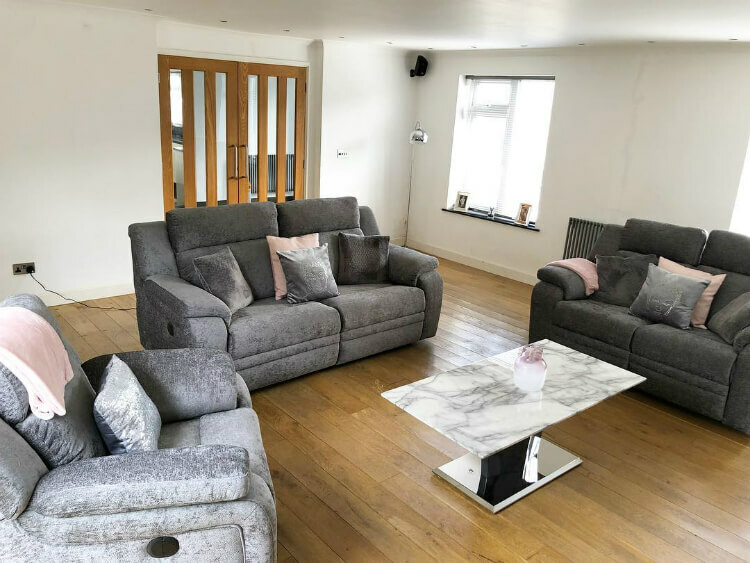 To be considered for inclusion in this roundup blog, just tag the products purchased at essexfurnitureoutletstores in your Instagram post. 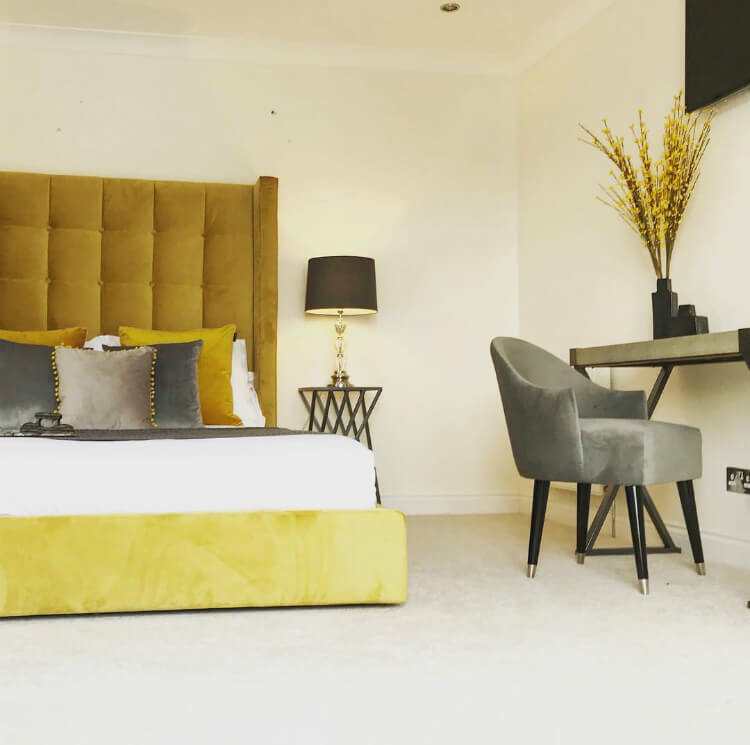 We look forward to seeing more of the incredible living spaces you have created with the help of our discount home furnishings! 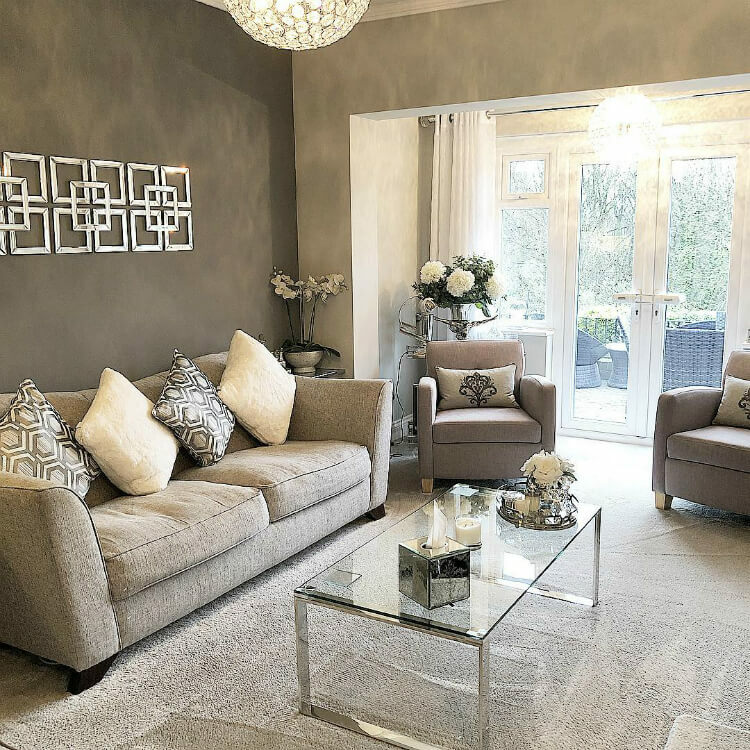 From accent chairs to wine racks, our furniture outlet stores in Dagenham, Leigh-on-Sea and Wickford offer a fantastic range of home decor and accessories – all at half their original RRP or less! 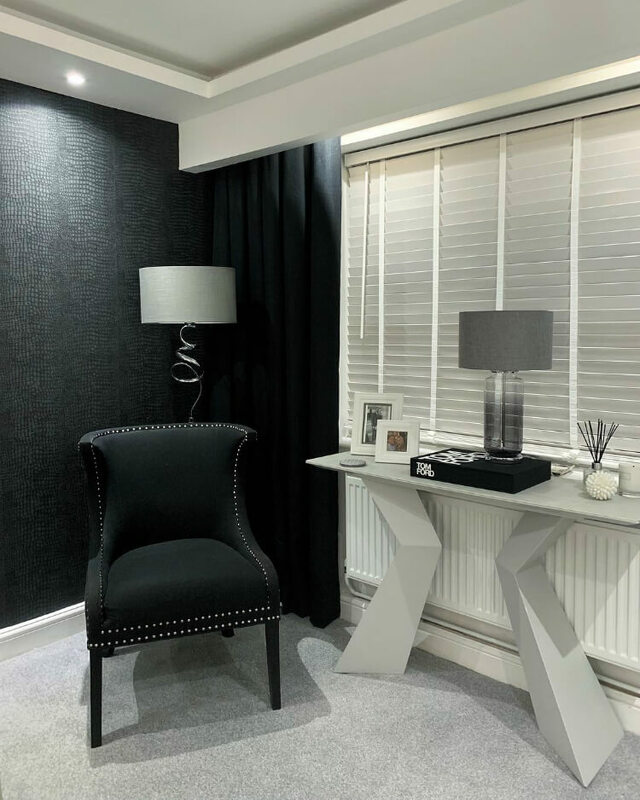 Visit us today to save money and shop the perfect look for your home.